If a healthier and more attractive smile is a high priority for you, then taking the time to choose the right cosmetic dentist in Henderson will be a task that you take seriously. After all, a good smile is important to your social life, your professional life, and your level of self-confidence. You’ll want to partner with the best possible cosmetic dentist for such an important endeavor. Years of experience in addressing your areas of concern. *Extra credit for pictures and testimonials. History of high success rates. *Extra credit for pictures and testimonials. Clear and reasonable warranties on cosmetic procedures. Accessibility, availability, and excellent customer service standards. 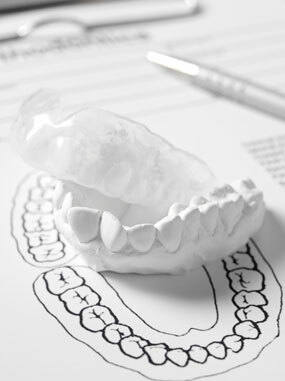 It is rare that dental insurances agree to cover the costs of cosmetic dentistry procedures. Be prepared to assume the complete cost of your chosen procedures. But there’s some good news, here: Your choice of cosmetic dentist won’t be limited to your dental insurance network, if the procedures aren’t covered anyway. This means that you have the freedom to choose the best possible cosmetic dentist for your needs without being limited to the providers that your insurance company has selected. A great cosmetic dentist will provide you with a clear treatment estimate and help you to file insurance claims for any portions of the procedure that may be covered. The dentist and the dental team should also be willing to point you in the right direction when it comes to financing options or provide you with the appropriate documentation for your Health Savings Account claims, if necessary. Are you ready to get started on your new smile? Contact a cosmetic dentist in Henderson NV for an appointment today.